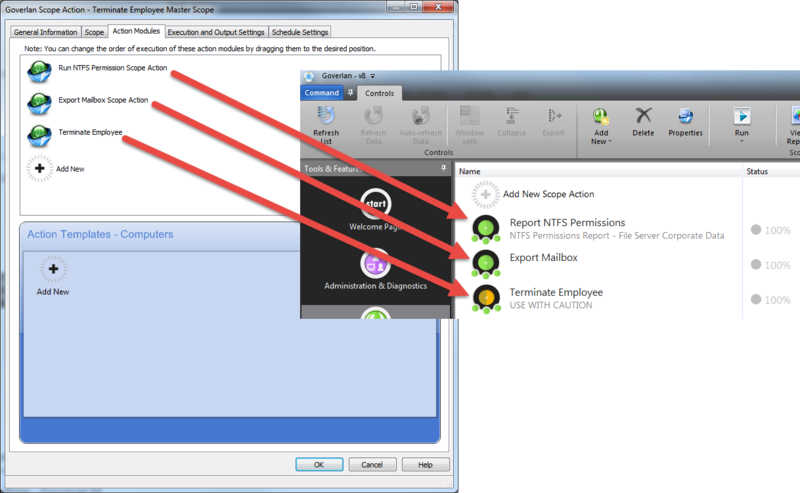 In this Process Automation tutorial, we will demonstrate how to trigger or run multiple workflows within one scope action. If you have never created a Scope Action before, please refer to the below video and the Scope Action Creation Basics article for more information. The computer that has the Goverlan Scope Action module installed must be configured as the target of this Scope Action. 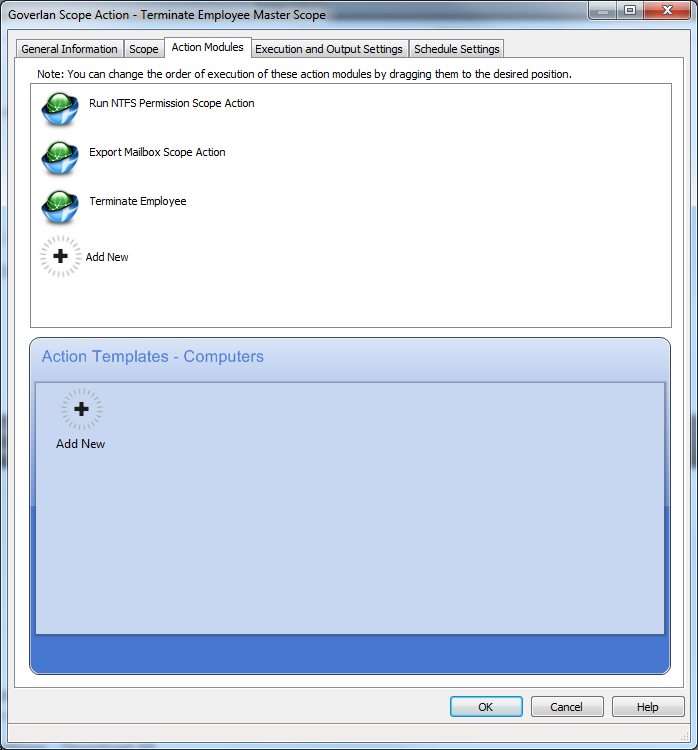 The following screenshot represents the finished Action Modules tab. The Master Scope Action will contain a different action module for each Scope Action. 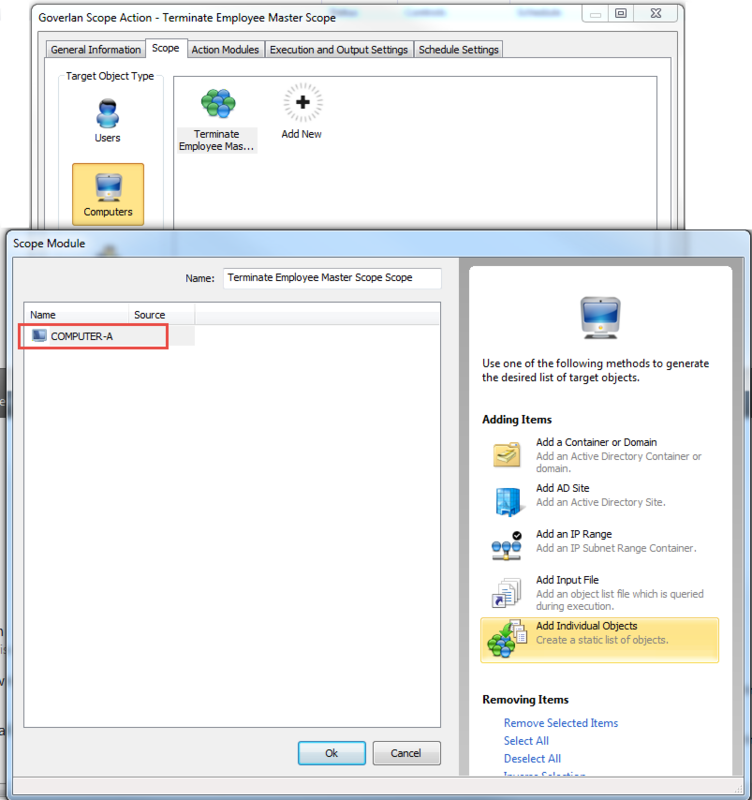 Process Automation Step 1 – Configure each Action Module in the Master Scope Action. The -opt:NoPrompt switch that is needed after the .GSA name for the Scope Action to run properly. 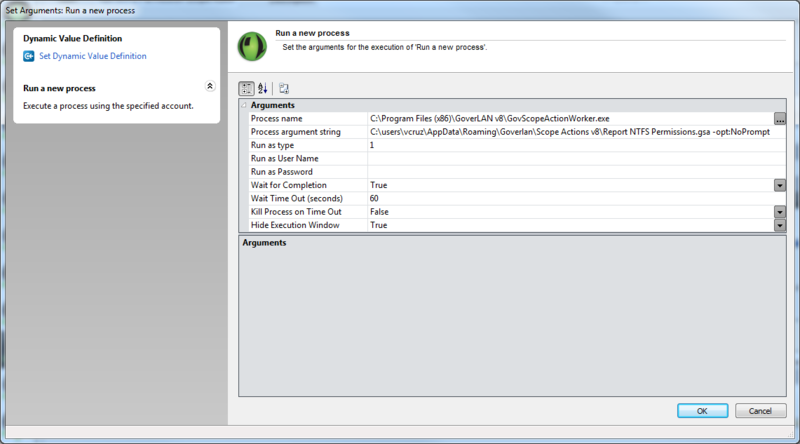 Wait for Completion: Set this value to True if the Scope Actions need to run sequentially. Set this value to false if the Scope Actions need to run simultaneously. Wait Time Out(Seconds): Please enter a time in seconds for the Scope Action to complete. This depends on the nature of the scope action itself. Longer scope actions will need more time to complete. Repeat Step 1 for each scope action that will participate in the Master Scope Action.